Google says its foray into the e-book market will launch by the end of this year. Google says it will launch Google Editions, its anticipated universal format e-book store, by the end of 2010. Google Editions was announced back in May, with an anticipated launch date of summer 2010. According to Google, the project was pushed back due to technical and legal issues. But those obstacles were "recently cleared," according to an unnamed source quoted in a recent Wall Street Journal story. Google product management director Scott Dougall told the Journal that Google Editions is set to debut in the U.S. by the end of this year, and will hit international markets in the first quarter of 2011. Google Editions is looking to upset the traditional (if you can call it that) e-book market dominated by Amazon and offer e-books in a "universal" format. In other words, books purchased on Google Editions will be readily available to users on all sorts of devices -- not just a dedicated e-book reader, such as the Amazon Kindle or the Barnes & Noble Nook, or on a tablet OS such as the iPad. Instead, Google Editions books will be available for users to read on most devices with Internet access, including smartphones, computers, and tablets. Google also says on its Google Books website that Editions books will be available on "supported partner devices" that will be announced when Editions is publicly launched. Google is also offering to share revenue with other retailers, including independent bookstores. Unlike Amazon, which only allows its Kindle users to purchase books from Amazon.com, Google will sell its books from both its Google Editions store and from online retailers. It's unclear as of now as to how much revenue Google will share with the retailers. Google's foray into the e-book world -- if, indeed, the project launches by the end of this year -- is coming at a good time. A recent survey by ChangeWave Research shows that the dominant e-book reader, the Amazon Kindle, is slowly but surely losing its market share. The survey of 2,800 people found that while the Kindle still dominates with 47 per cent of the e-book reader market, the Apple iPad is catching up with 32 per cent of the market. In February of this year, the Kindle had 68 per cent of the market share. The survey also asked people what e-reader they were most likely to purchase in the next three months. 42 per cent of the respondents said they were likely to purchase the iPad, while 33 per cent said they were likely to purchase the Kindle (four per cent said they'd get the Nook and one per cent voted for the Sony Reader). If Google can get its act together, this looks like the perfect time to enter the market. After all, the iPad is a device with Internet access and a Web browser -- potentially a Google Editions reader. Sure, Kindle users will have to stick with Amazon, but it looks like their numbers are dwindling (though admittedly still pretty significant). 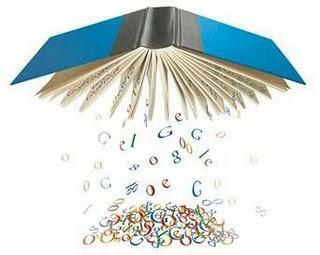 "Each consumer's Google Edition has a unique coding that caches the book when it is accessed through a browser (as opposed to a digital download; see more information on file protection here). This means that the Google Edition is broken down into fragments and temporarily stored in - and accessed through - the browser window. The Google Editions Web experience, therefore, is not that of a file download - it is an experience that is optimized for reading in the browser. This allows Google to detect and protect against abuse of each Google Edition." Certainly, there are always ways to download things on the 'net for offline viewing, but I assume (or at least I hope) Google has its own solution. What do you guys think? Is Google Editions going to work as well as Google Search, or will end up like Google Wave?